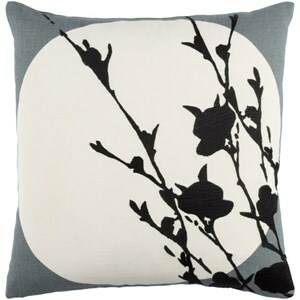 Bring the night to life with these absolutly stunning and beautiful pillows from our Harvest Moon collection! Designed by Emma Gardner, Hand woven by artisians in India. 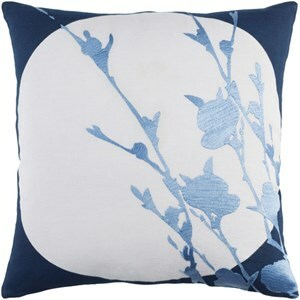 These pillows come in two beautiful colors. Made with 100% Linen front and back. Bring out your inner night owl! Spot clean only. The Harvest Moon 20 x 20 x 4 Pillow Kit by Surya at Hudson's Furniture in the Tampa, St Petersburg, Orlando, Ormond Beach & Sarasota Florida area. Product availability may vary. Contact us for the most current availability on this product. Browse other items in the Harvest Moon collection from Hudson's Furniture in the Tampa, St Petersburg, Orlando, Ormond Beach & Sarasota Florida area.